A quiet Saturday afternoon it was for me. I’d decided to stay home and do nothing. I showered and changed back into a new set of PJs and settled in front of the TV to watch a movie everyone’s been talking about. I’m not a great fan of the Serial Kisser (Emraan Hashmi) and generally just avoid watching his movies but Ajay Devgun was a lure and when I watched the promos I thought Kangna Ranaut looked great. It starts with a policeman attempting suicide because he feels the Mumbai Bomb Blasts in 1993 are all because of him. His narration takes us into a flashback (don’t worry – it’s quite tasteful and not what you’d expect from an Ekta Kapoor serial even though she has produced this movie). 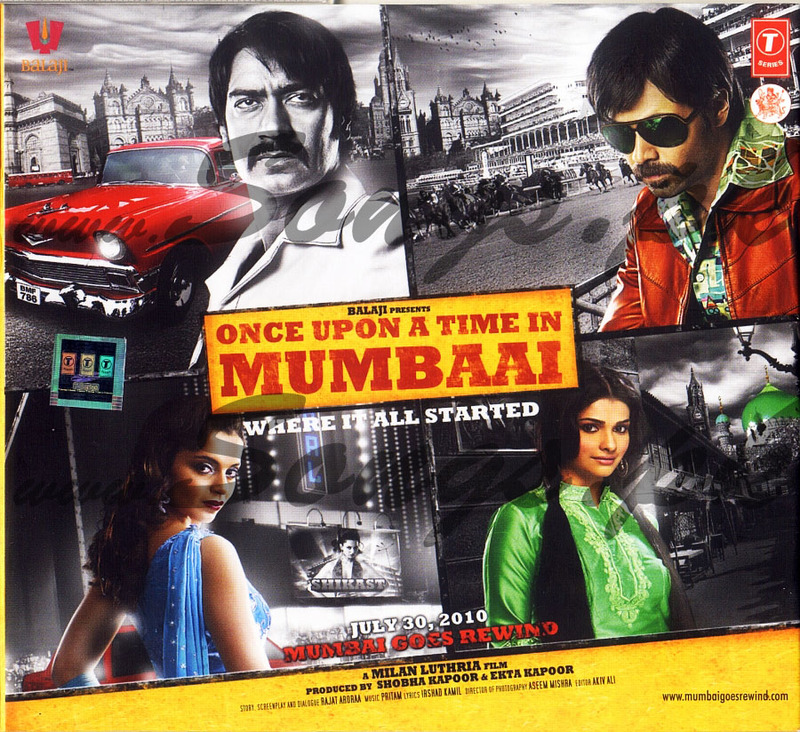 Flashback shows how Sultan (Ajay Devgun) rises from a nobody to a big time don in the city of Mumbai while never neglecting the poor. A bit of a Robin Hood, if I may. Then we shift towards Shoaib (Emran Hashmi) who is an ambitious child, a policeman for a father who is forever trying to instil good in him in vain. Sultan falls for Rehana (Kangana Ranaut) who is a high flying actress and invests a lot of money in her films which ends up causing a downfall in her career. Shoaib’s love intrest in the movie is Prachi Desai who has done well in this movie even though her role was not that huge. Shoaib and Sultan meet and Shoaib is taken under Sultan’s wing. Shoaib wants to be Sultan and copies his every move – from holding the cigarette and the drink right down to the tapping of the foot. In the interim, Sultan has to travel out of Mumbai and leaves Shoaib in charge but he decides to rule the roost in his own way and undoes all that Sultan does. I won’t spoil the ending for you but it was what I had expected. Watch this movie if you haven’t already. I thoroughly enjoyed it. Great casting and a really good soundtrack too and the background score was fantastic as well.